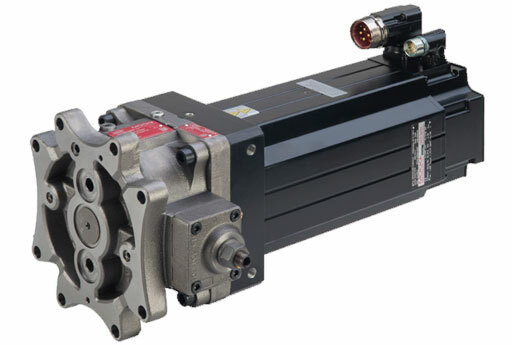 Electrohydrostatic Pump Units (EPU) are emerging as viable options for industrial machine builders seeking for compact alternatives to traditional hydraulic or electromechanical motion control solutions. The Moog EPU is at the heart of electrohydrostatic actuation and combines the advantages of both hydraulic and electro-mechanical actuation technologies in a self-contained product, delivering a high degree of energy efficiency and environmental cleanliness. A total cost of ownership analysis is often used to quantify both the initial savings and the ongoing benefits of an electrohydrostatic actuation system in comparison to traditional hydraulics. A compact product, the EPU requires no hydraulic infrastructure to be incorporated into a machine and allows machine designers to evaluate the merits of combining both technologies without the fixed cost of the hydraulic system infrastructure. 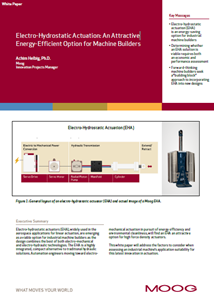 The trend in the industrial machinery market is a shift toward machine electrification for energy saving, lower cost of maintenance, and dynamic performance improvements. Electro-mechanical (EM) solutions cannot compete with the high forces available in hydraulic systems. To achieve the same forces it becomes impractical to use a servo motor combined with the addition of gearboxes and rotary to linear conversion. 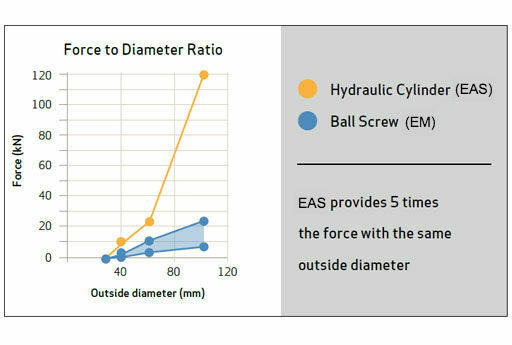 Electrohydrostatic actuation systems (EAS), however, have a wider range of force available in a relatively compact form factor while also eliminating the need for mechanical gearing. The elimination of mechanical gearing is an important factor when considering the relative advantages of EAS over electro-mechanical solutions. The lack of ball screws or gearing is compelling to machine builders seeking to improve the simplicity in a machine design. Moog worked with Dresden University to incorporate the EAS on a Die Cushion Press so it could be objectively compared to a traditional servo control system using servo valves. Die cushion presses normally have a capacity of 24 to 4,000 tons and perform a wide range of stamping operations in automotive plants including handling new materials and complex shapes such as external and internal body panels for doors, fenders, roofs and hoods.According to Professor Weber at Dresden University, energy savings during a complete machine cycle of approximately 30% could be achieved during tests while maintaining comparable dynamics and pressure control functionality. 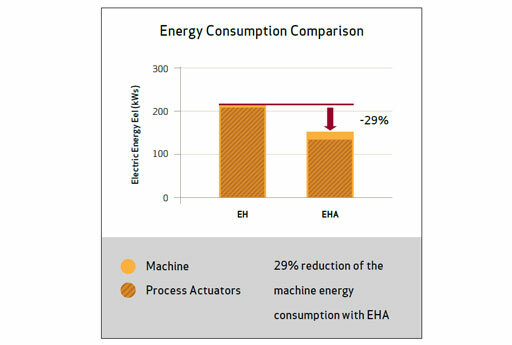 A 30% energy efficiency experienced by the elctrohydrostatic solution is a dramatic improvement especially when you consider the large amount of energy used by these kinds of machines in a single year. A future advantage is the substantial reduction or even substitution of oil cooling due to elimination of throttle losses. Get our PDF white paper immediately after you fill out the form below.